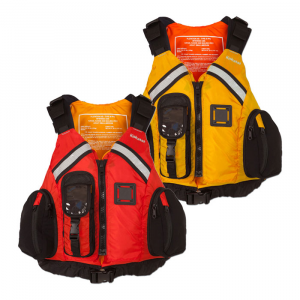 This PFD is excellent for freedom of arm movement. 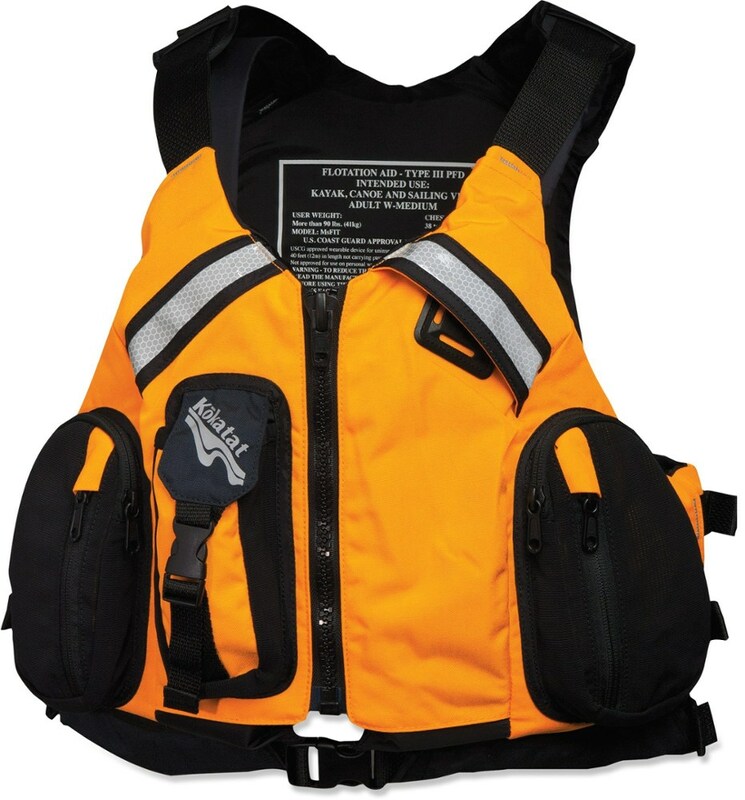 This PFD is excellent for freedom of arm movement. It fits well over a paddle jacket. 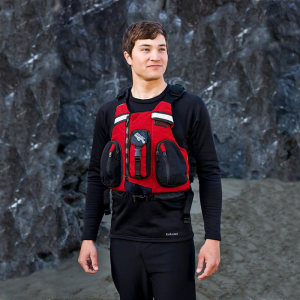 The straps can be adjusted to fit tighter when a paddler is wearing only a bathing suit. After six years of use while kayaking salt water, it's still in good shape. 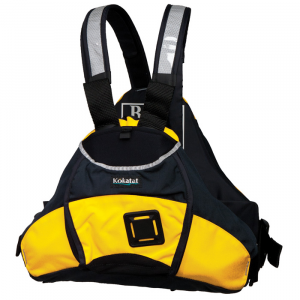 The Orbit is a very well-constructed PFD. I have used mine for seven years but all the straps and seams are still strong. The bright orange fabric has faded a little in sunshine and shows a few grubby marks. 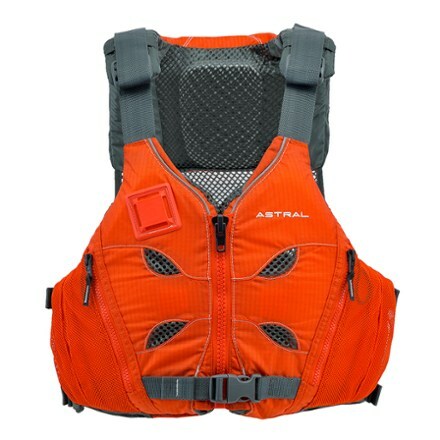 It looks like what it is: a tough PFD that has been worn hundreds of times on bright sunny days, in salt water and fresh, on muddy rivers and tarry docks. It is still very buoyant and holds me up when I do safety practise. What I like best about the Orbit is the freedom of arm movement. 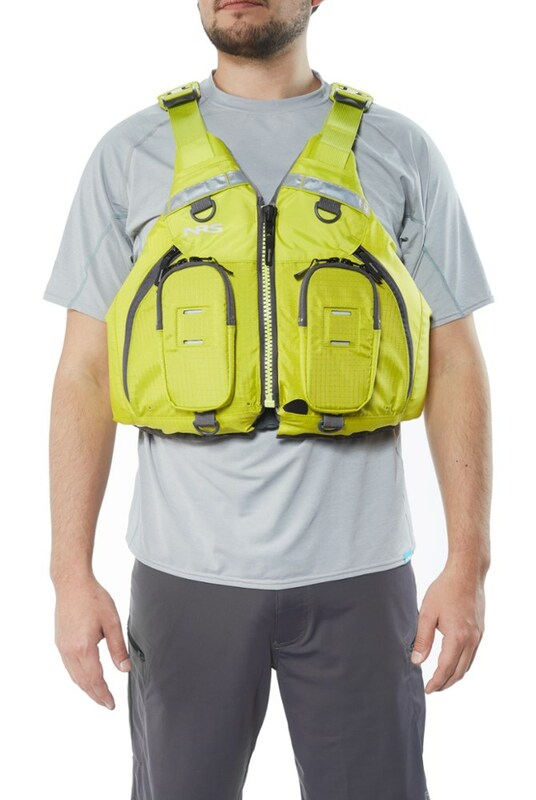 I can wear this PFD without my arms feeling trapped in a straitjacket! On cold days I wear the Orbit over a shortie wetsuit, a thin sweater, and a paddle jacket. On hot days I wear it over a bathing suit. The straps adjust to fit me no matter what I wear. They also fit my husband's much larger shoulders. In whitewater conditions, a paddler could move freely without feeling constrained. The design seems particularly well-suited for male paddlers. I am a plump, muscular woman, yet the Orbit feels fine on me. My friend didn't like the fit of an Orbit on her chest, so she bought a MsFit PFD and feels more comfortable in that design. 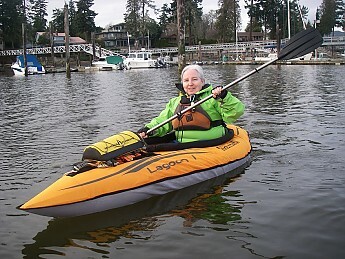 The design also seems particularly well-suited for tall, long-armed paddlers. As a short, plump person, I do find the Orbit is pretty thick and sticks out a bit far in front. I shift the Orbit so the back rides a little high and the front a little low, then tighten the side straps. 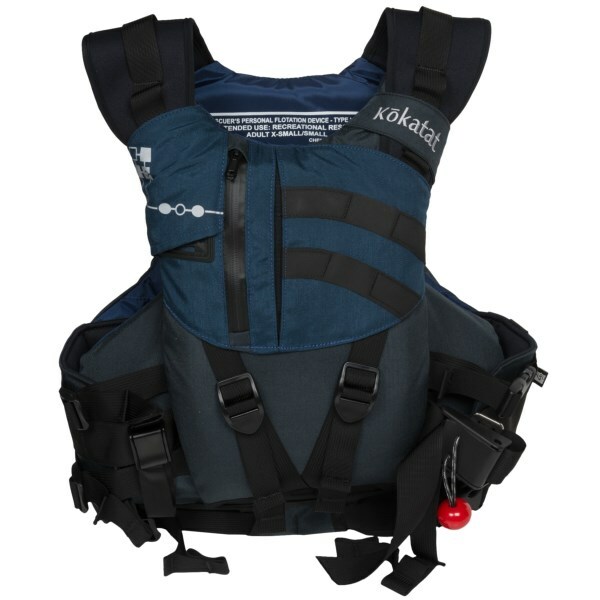 In this position, the back of the PFD is mostly above a seat back, and the bulky part of the front is mostly below and between my breasts. This is comfortable for hours of paddling. Thanks for the review, Paula. I was wondering if you'd prefer a women's-specific PDF or not when I started to read it. I was surprised how well the Orbit suits me. My friend's MsFit felt fine when I tried it. After seven years, it might be time to get a new PFD. I'd love to design one suited for plump little people instead of thin tall people! Yes, there are definitely a lot of different body types for that area!